"To export a list, you must have a Microsoft SharePoint Foundation-compatible application". I researched this but couldn't find a solution. I have only one version of office (2010) installed on my system. To export a list, you must have a Microsoft SharePoint Foundation-compatible application. 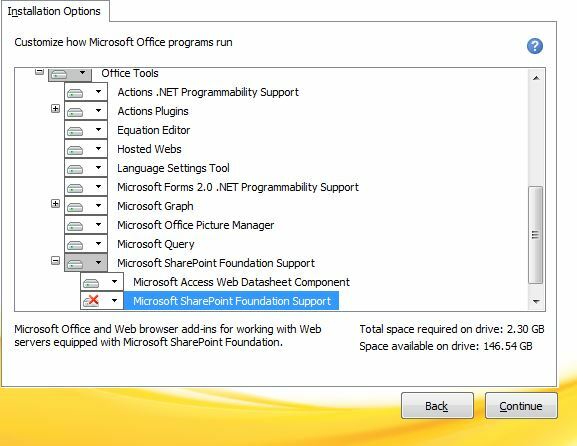 See more advanced in Error: "To export a list, you must have a Microsoft SharePoint Foundation-compatible application"
Office 2010 Service Pack 2 . Not the answer you're looking for? Browse other questions tagged list document-library excel export internet-explorer or ask your own question.